^ 各伊玛目的阿拉伯文头衔被以阿拉伯语为礼仪语言的大多数十二伊玛目派穆斯林，包括乌苏勒派、阿赫巴尔派、谢赫派及小部分阿列维派所使用。土耳其文头衔被大多数阿列维派穆斯林所使用，该派是十二伊玛目派的一个边缘团体，约占全世界什叶派穆斯林的10%。各伊玛目的土耳其文头衔的意思是“阿里一世”、“阿里二世”，以此类推。参见： Encyclopedia of the Modern Middle East and North Africa. Gale Group. 2004. ISBN 978-0-02-865769-1. ^ 1.0 1.1 1.2 Shi'ite. Encyclopædia Britannica Online. 2007 [2007-11-06]. ^ Tabatabae (1979), p. 10. ^ Tabatabae (1979), p. 15. ^ Corbin (1993), p. 45–51. ^ 6.0 6.1 Gleave, Robert. Imamate. Encyclopaedia of Islam and the Muslim world; vol.1. MacMillan. ISBN 0-02-865604-0. ^ 7.0 7.1 7.2 7.3 7.4 7.5 Nasr, Seyyed Hossein. Ali. Encyclopædia Britannica Online. [2007-10-12]. ^ 8.00 8.01 8.02 8.03 8.04 8.05 8.06 8.07 8.08 8.09 8.10 8.11 Encyclopedia of the Modern Middle East and North Africa. Gale Group. 2004. ISBN 978-0-02-865769-1. ^ Tabatabae (1979), p. 190–192. ^ Tabatabae (1979), p. 192. ^ 11.0 11.1 11.2 Madelung, Wilferd. ḤASAN B. ʿALI B. ABI ṬĀLEB. Encyclopaedia Iranica. [2012-07-06]. ^ 12.0 12.1 12.2 Hasan. Encyclopædia Britannica Online. [2007-11-08]. ^ Tabatabae (1979), p. 194–195. ^ Tabatabae (1979), p. 195. ^ 15.0 15.1 Madelung, Wilferd. ḤOSAYN B. ʿALI. Encyclopaedia Iranica. [2008-03-23]. ^ 16.0 16.1 16.2 16.3 16.4 al-Husayn. Encyclopædia Britannica Online. [2007-11-08]. ^ Tabatabae (1979), p. 196–199. ^ 18.0 18.1 18.2 18.3 18.4 Madelung, Wilferd. 'ALÈ B. AL-HUOSAYN. Encyclopaedia Iranica. [2007-11-08]. ^ 19.0 19.1 19.2 19.3 19.4 Tabatabae (1979), p. 202. ^ 20.0 20.1 20.2 20.3 20.4 20.5 Madelung, Wilferd. AL-BAQER, ABU JAFAR MOHAMMAD. Encyclopaedia Iranica. [2007-11-08]. ^ Tabatabae (1979), p. 203. ^ 22.0 22.1 22.2 22.3 22.4 22.5 22.6 Tabatabae (1979), p. 203–204. ^ Wasil ibn Ata. Encyclopædia Britannica Online. [2007-11-08]. ^ 24.0 24.1 Madelung, Wilferd. 'ALÈ AL-HAÚDÈ. Encyclopaedia Iranica. [2007-11-09]. ^ 25.0 25.1 25.2 25.3 25.4 25.5 Tabatabae (1979), p. 205. ^ Tabatabae (1979), p. 78. ^ Sachedina (1988), p. 53–54. ^ 28.0 28.1 28.2 28.3 28.4 28.5 28.6 Tabatabae (1979), p. 205–207. ^ 29.0 29.1 29.2 29.3 29.4 29.5 29.6 Tabatabae (1979), p. 207. ^ 30.0 30.1 30.2 30.3 30.4 30.5 30.6 Madelung, Wilferd. 'ALÈ AL-HAÚDÈ. Encyclopaedia Iranica. [2007-11-08]. ^ Tabatabae (1979), p. 208–209. ^ 32.0 32.1 32.2 32.3 32.4 Halm, H. 'ASKARÈ. Encyclopaedia Iranica. [2007-11-08]. ^ 33.0 33.1 Tabatabae (1979), p. 209–210. 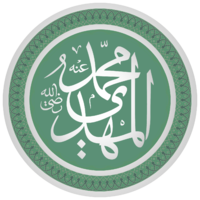 ^ Muhammad al-Mahdi al-Hujjah. Encyclopædia Britannica Online. [2007-11-08]. ^ 35.0 35.1 35.2 35.3 Tabatabae (1979), p. 210–211. ^ Tabatabae (1979), p. 211–214. Momen, Moojan. An Introduction to Shi`i Islam: The History and Doctrines of Twelve. Yale University Press. 1985. ISBN 0-300-03531-4. Sachedina, Abdulaziz Abdulhussein. The Just Ruler (al-sultān Al-ʻādil) in Shīʻite Islam: The Comprehensive Authority of the Jurist in Imamite Jurisprudence. Oxford University Press US. 1988. ISBN 0-19-511915-0. Tabatabae, Sayyid Mohammad Hosayn. Shi'ite Islam. Seyyed Hossein Nasr (Translator). SUNY press. 1979. ISBN 0-87395-272-3.